When you think of sugar, what is the first food you think of? Chances are, you’re thinking of chocolate, sour-patch kids, or lollipops. Perhaps you only consume one of these things a day—or maybe you stay away from them altogether. But that doesn’t mean you’re completely in the clear. Sugar is everywhere. It comes in most pasta sauces, ketchup, yogurts, granola bars, and even dried fruit. If you’re not careful, you could unknowingly consume it in unhealthy quantities, creating serious health risks, such as obesity, impaired immune functioning, and indigestion. So what can you do? 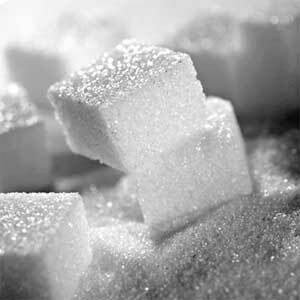 Here are some tips for being smart about your sugar consumption. Just because it doesn’t say “sugar” doesn’t mean that it’s not in there. Sugar can come under many disguises—malt extract, molasses, cornstarch, dextrose, maltodextrin, corn syrup, crystalline fructose, evaporated cane-juice, sorghum syrup—and these are just to name a few. Personally, if I see a foreign ingredient on a label while grocery shopping, I avoid it altogether until I’ve found some research proving that its safe. I highly suggest you do the same–you are the only one in control of what goes in and out of your body! A lot of people on diets think that turning to 0 or low-calorie drinks is a safe and effective way to lose weight. However these drinks tend to be the biggest sugar bombs of all! Take Vitamin Water, for example. The drink boasts only 50 calories, but the primary ingredient is crystalline fructose, which is basically the same thing as high-fructose corn syrup. Other flavored drinks, like Chrystal Light and Coke Zero contain harmful sweeteners such as aspartame (or as Coke Zero calls it,”sweetener 951″) which increases sugar cravings. You’re much better off sweetening water with a citrus fruit and stevia! Pasta sauce is one of the biggest sugar offenders. But who wants pasta sauce with tons of sugar anyways? I know when I think of pasta sauce, I think of freshly grown vegetables blended together outside of an Italian garden; not man-made table sugar! Here are two pasta swaps I use. Don Bruno’s Marinara Sauce: This stuff is great! Its ingredients are whole peeled tomatoes, crushed tomatoes, olive oil, tomato paste, garlic, extra virgin olive oil, black pepper, and sea salt. I can pronounce every single one of these ingredients and no sugar! Homemade pasta sauce: Place six tomatoes in boiling water for one minute. Chop two of the tomatoes and mix the rest of them in a blender, without the skin. Cook garlic, onion, and peppers in oil (I recommend avocado oil). Then mix all of the ingredients together with basil, oregano, and parsley and leave it under low heat for about 10 minutes. Flavor with sea salt and pepper. Buonissimo! Most dressings will list sugar as one of the first two or three ingredients, which means that it makes up the majority of the recipe. Fat-free dressings tend to be the biggest culprit of this. Get rid of them and make your own instead! Here’s one of my favorites. Mix tahini, soy sauce (or gluten-free tamari) olive oil, apple-cider vinegar, 1 garlic clove, and lemon juice in a food processor or blender. Add sea salt and pour over your favorite salad. Although bananas do have sugar, they are a much better option than the refined sugar you will find in “healthy” frozen yogurt options. Their have lots of fiber, which prevents spiked insulin levels and are full of essential vitamins and minerals, whereas refined sugar is depleted of all these in the manufacturing process. Just take one frozen banana and spin it in a food-processor. Add cinnamon and a bit of almond milk if you want to make it creamier, and you’re done! Much better than tasti-d-lite! Once you realize how present sugar is in all of our food products, it can be very annoying to realize just how many swaps you need to make! Just remember to stick with it, and feel free to ask me for any further sugar-swap suggestions here or by email. I am happy to help. Good luck and happy eating!